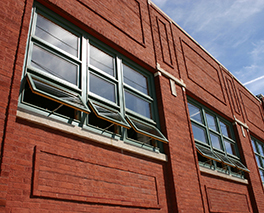 Manufactured start to finish in South Elgin, Casco Industries Aluminum Clad Wood Windows and Patio Doors offer a traditional wood window or door with an upgraded extruded aluminum clad exterior. This clad exterior prevents new wood windows from being exposed to the harsh elements and offers a maintenance free exterior. 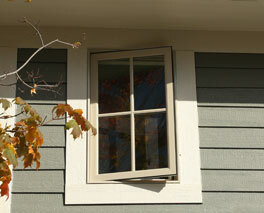 Casco Casement Windows are hinged on either side of the window and open to vent on the reverse side of the hinges. 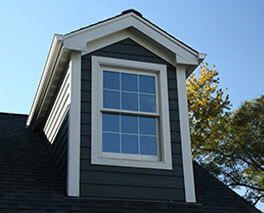 Casco Awning Windows, hinged at the top of the frame, allow the bottom to swing outward to vent. 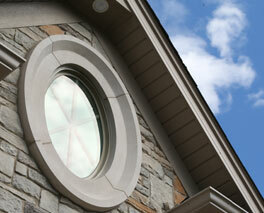 Casco Specialty Windows are available in a variety of shapes including arched windows. 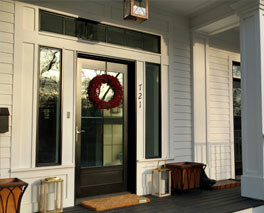 Casco's Swing Patio Doors are a traditional patio door with many options available. 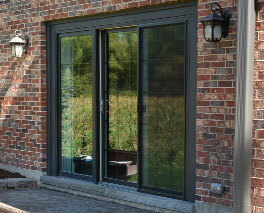 Casco's Aluminum Clad Sliding Patio Doors allow for large panels of glass to slide on a track. 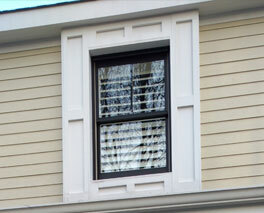 Casco's Double Hung Replacement Kit replaces warn sashes and weather-strip with new energy efficient product utilizing a home's existing wood window frames.